We received 150-200 Halloween costumes from Party City through Good 360. These costumes are all styles and sizes- something for the entire family. We have always loved Halloween and this year we are excited to be able to share the love by offering free Halloween costumes to children with special needs and their families. All costumes are first come first serve. We will have volunteers on hand to help you find exactly what you are looking for. There will be a space to try-on the costumes as well if needed. COSTUMES ARE FOR CHILDREN WITH SPECIAL NEEDS AND THEIR FAMILIES ONLY! Costumes are NOT available to the general public. For a little extra fun we are also doing a raffle. 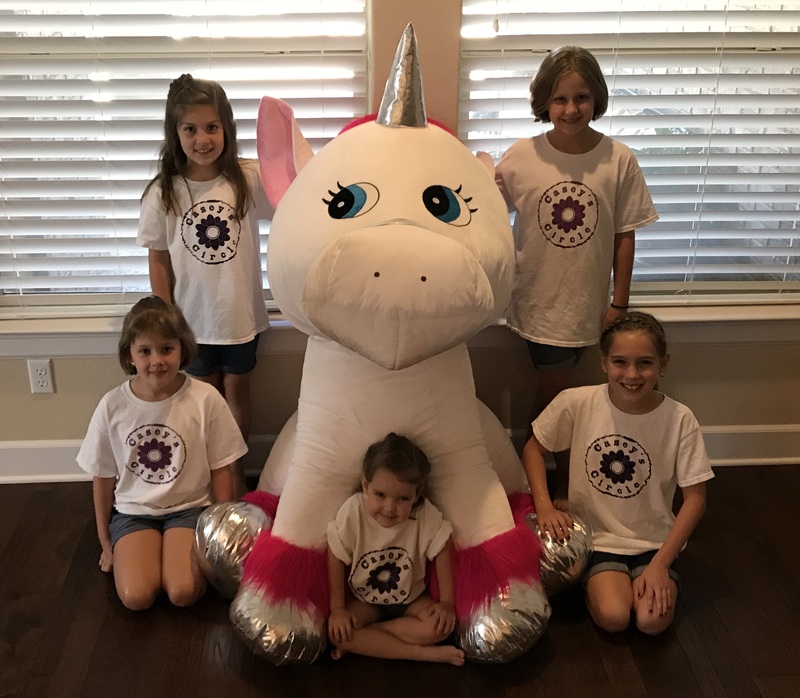 Aubrey and Taylor from Dallas donated an AMAZING stuffed unicorn. 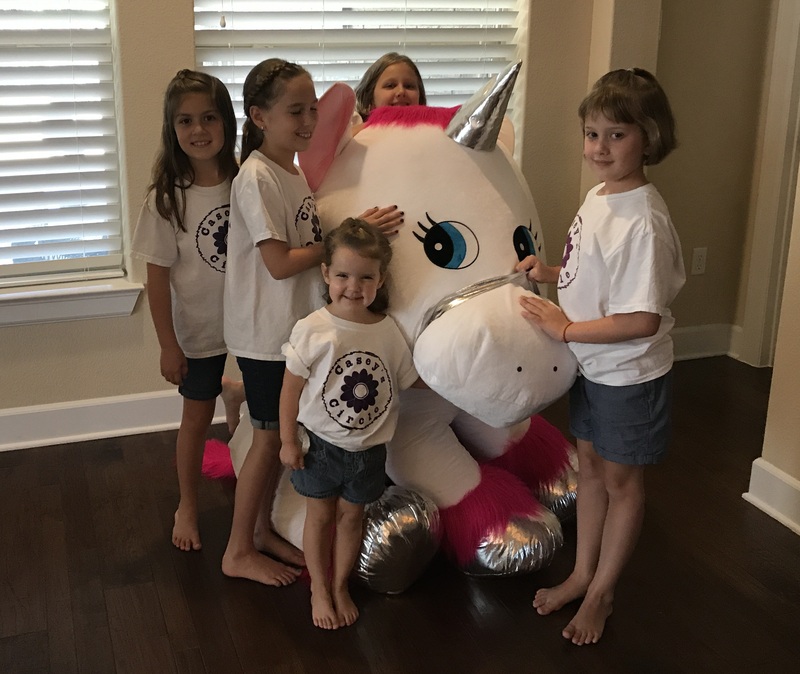 This unicorn stands over 4 feet tall, has a shiny silver horn and fluffy pink mane. It is sure to be your kids new favorite. Raffle tickets will be available to families that come to pick up costumes for $1 each. $1 tickets are ONLY available during the costume giveaway times! Due to fees with credit card purchases online, these are only available in 5 packs. Raffle tickets are available online now until Friday, September 22nd at 10PM. 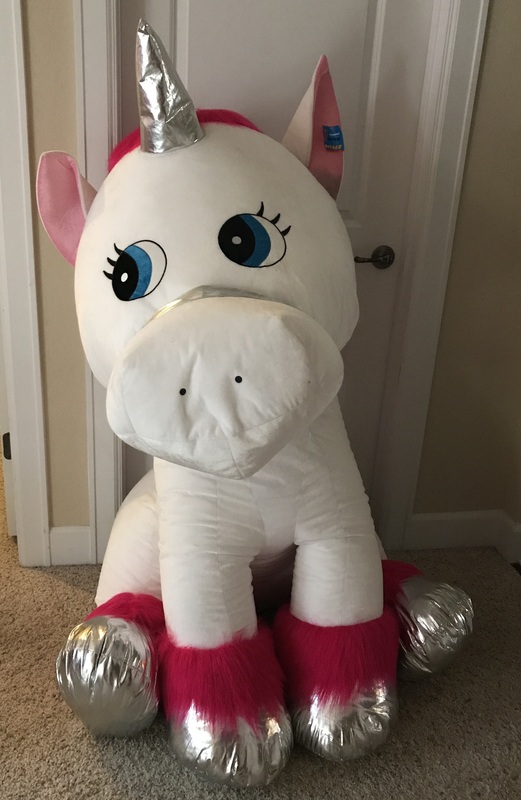 Due to the size, we are not able to ship this prize. In order to win you MUST be able to pickup or take delivery in the greater Austin area. Costumes are for children with special needs and their families only – this is not open to the general public. Online raffle tickets may be purchased by anyone, you do not have to have special needs to purchase a raffle ticket online.